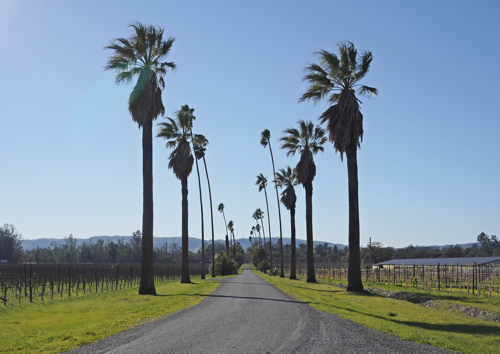 This is the second post in an ongoing series about wineries that are charting the new frontier of California wine. 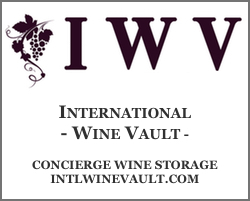 For Part I on Idlewild Wine, click here. If you were wondering where all the cool kids from SF and Berkeley go when they head up to wine country for the weekend, they go to Scribe–a new generation winery started by brothers Adam and Andrew Mariani in 2007. 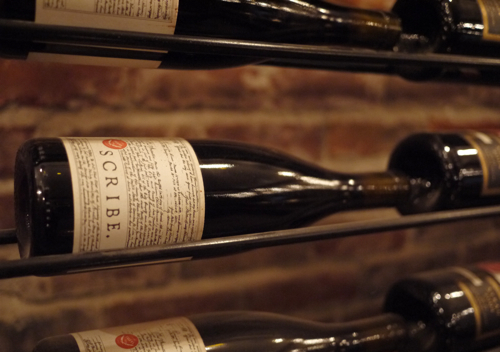 What Scribe represents in this new frontier of California wine is a vast departure from the traditional Napa/Sonoma (or anywhere wine country) experience. And this departure is exactly what many new and forward-thinking wine drinkers are looking for. On the cold late December morning we visited, just a few days before the new year, the outside of the winery was quieter than normal. Just a handful of cars were parked out by the old hacienda that marks Scribe’s land. Our host let us know that typically (when the weather is warm) guests are lounging about in the grass, or at picnic tables, enjoying the scenery. Looking around, it quickly becomes clear that on a sunny day this would be, in fact, one truly amazing place to kick back with some friends and enjoy a few glasses of wine. On the day we visited, however, the “tasting” was conducted inside. Of course, what Scribe has really managed to do is blow the whole traditional tasting up, shoot it off their peaceful hill and indulge you in their kind of wine enjoyment experience. Their indoor “tasting room” is more like a farm lounge, if you will–a hipster coffee shop meets rustic chic barn wedding meets one of the coolest places you’d like to hang out drinking wine for hours on end. And they even have warm blankets available should the wintery Sonoma mix get too chilly for your bones. The “tasting” started with their Riesling, a bone dry and bright wine that was surprisingly welcoming on this cool Sonoma day. The Estate Chardonnay followed quickly, and with that chardonnay we sat. For at least 20 minutes. We were joined by one of the “tasting room” staff. She brought us a cheese board, chatted with us for a while about life, the winery, Sonoma. Turns out our host typically tends the gardens at Scribe (they have an heirloom orchard and vegetable garden on the property), but was working the afternoon in the wine pouring/entertaining capacity. It was relaxing. Inviting. Completely enjoyable. Wait, where are we again? Eventually, we were greeted by my favorite wine of the tasting, a very sultry skin-fermented chardonnay in a 500ml squat bottle that reminded me of something that was very much not your typical California chardonnay. It was par for the course, quite honestly. By that point we had settled into our surroundings and figured out that we were no longer in Kansas/Sonoma anymore. We were somewhere in Andrew and Adam Mariani’s very unique wineland mindscape. Unlike Sam Bilbro of Idlewild, who we covered in the first part of this series, the Mariani brothers don’t come from a wine family. But, they did grow up in the California agriculture industry, farming walnuts and almonds and working the land. Andrew and Adam found their passion in wine early, developed their trade at wineries in Europe, then came across this piece of land at the border of Sonoma and Carneros. They planted their first estate grapes in 2008, and in the years since have turned what was once an old turkey farm into something quite remarkable, a new generation wine oasis. 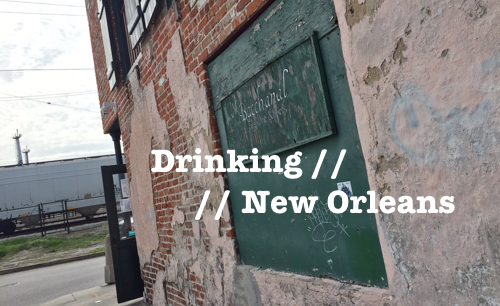 Now, the brothers host big parties here that are frequented by city-folk, hipsters, artists, and a host of new wine drinker types. 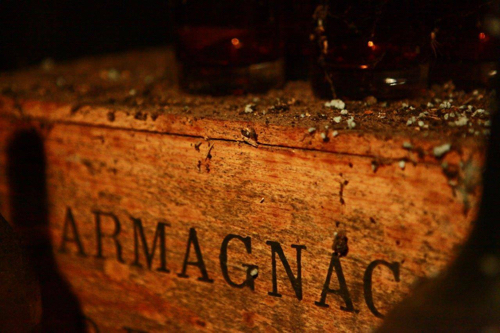 They make wines that speak to their own senses, and have truly become scribes of their land. 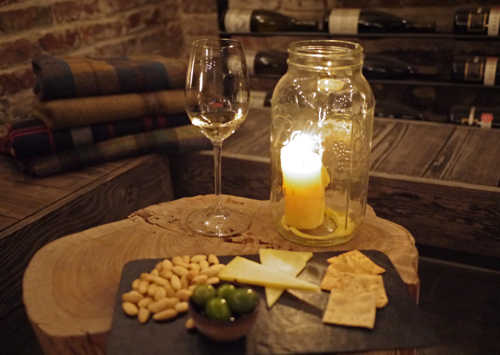 The tasting continued and the cheese board quickly faded to just a few scraps on a slate board. The candle on the wood trunk table flickered in the intimate corner of the room in which we sat. 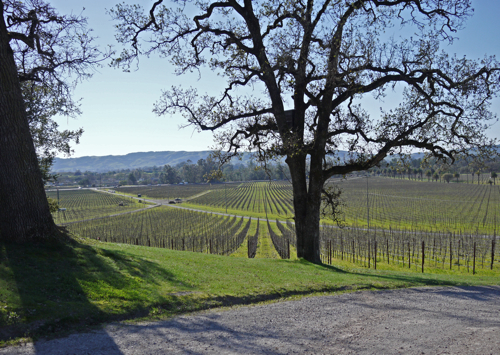 Where has this strange and exciting world been hidden on all of our recent visits to Sonoma? Who knows… but we’ve found it now, and look forward to many more visits to come. Visitng Scribe is a little easier than Idlewild. Just make an appointment ahead of time and you’re golden. If it’s warm out, bring a picnic blanket and some friends. And plan at least an hour and a half to relax and enjoy. If you go, also make sure to try the Scribe Nouveau, a California interpretation of the classic Beaujolais Nouveau wines that represent the first of the new vintage in France. 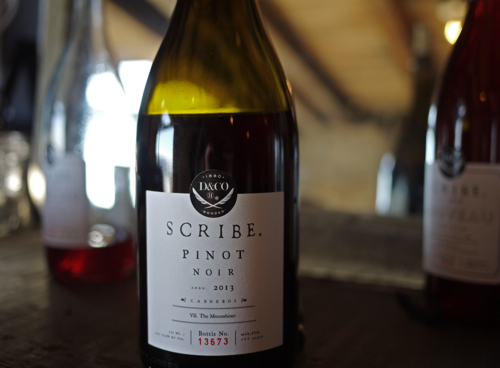 Traditionally, light, juicy and “fun,” Scribe’s version, their Pinot Nouveau, isn’t too far off from what we’ve come to know from the Gamay-based wine, but perhaps with a little more California and a little more finesse and style. 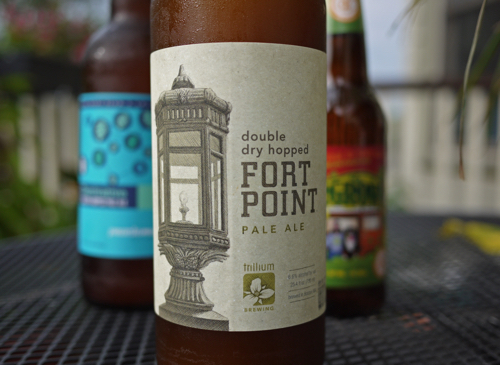 An easy drinker, bursting with tart raspberry and freshness.